Here's a cool photo of the Burj Dubai, the tallest building in the world. 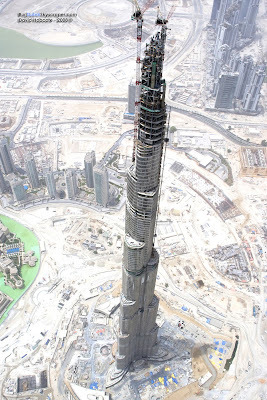 See my previous posting on this at: http://markgsmusings.blogspot.com/2009/06/hello-gorgeous-burj-dubai-tallest.html. Click on the photo to enlarge to really see how dizzyingly high this gorgeous structure is. This is my kind of tall! Is it not exquisite? Is there hope for our species?